The ability to securely deliver PINs to cardholders while reducing the cost of delivery is a priority for every card issuer and financial service provider. Sending PINs through traditional mail is costly, time consuming, and more importantly, highly insecure. Striata ePIN provides real business benefits, including improved customer service, cost savings, and peace of mind to both the cardholder and the card issuer. Striata has been an industry leader in supplying secure document delivery solutions to financial institutions for over ten years. The Striata ePIN solution uses this same technology and functionality to provide financial institutions and other card issuers with a secure, stand-alone PIN distribution system that safeguards the PIN from generation to distribution, ensuring that only the customer has access to their PIN. Security is at the core of all PIN based transactions. While cardholders must be cognizant of keeping their PIN a secret, the matter of PIN privacy originates with the card issuer. The card holder may request the PIN using SMS, email, IVR and the Web. 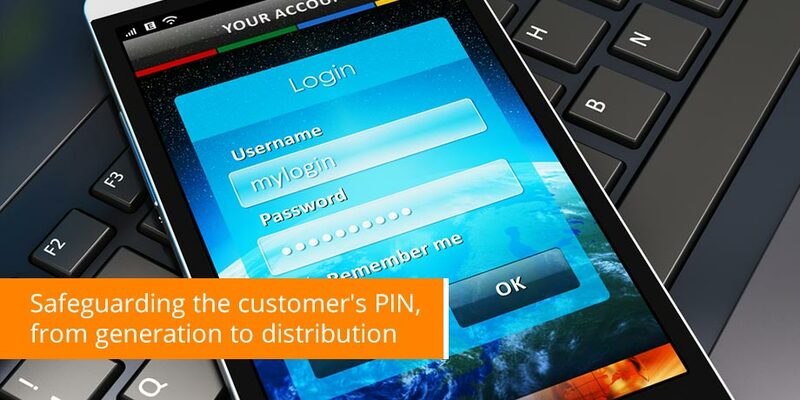 Delivery of the PIN is dependent on the customer profile and the security level required. The highest level of secure delivery is obtained by sending an encrypted PIN directly to the card holder’s email address, together with a one-time password (OTP) required to access the encrypted PIN, sent to the card holder’s mobile handset. Three-factor authentication is the key to security. The person requests the PIN using their issued authentication value (something you know), receives the email (something you own i.e. access to you email box), and then enters the OTP received on their mobile phone (something you receive) to access the PIN. Multi-factor authentication in PIN delivery provides the basis for non-repudiation of financial transactions, which is an essential characteristic of card-based commerce.